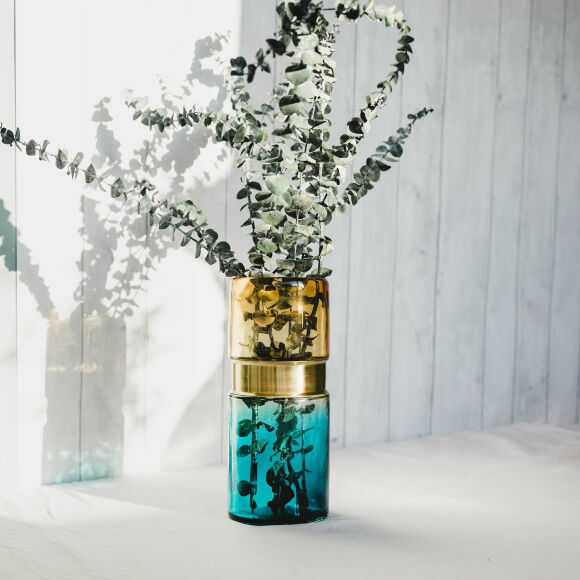 A gorgeous decorative two-tone glass vase, perfect as a stand-alone piece or for displaying your favourite flowers in style. 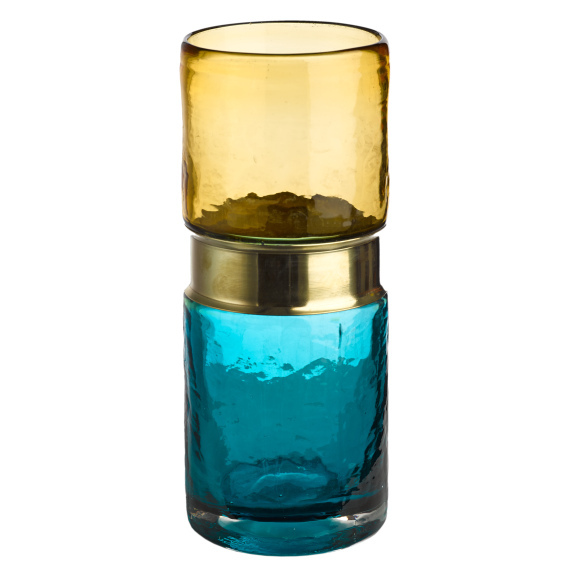 The rich amber and aqua colours are complemented by a brass belt at the centre, adding a touch of luxury. A real statement piece to add interest to a room or a special gift for a loved one. The handmade quality of this vase lends each piece a unique charm.